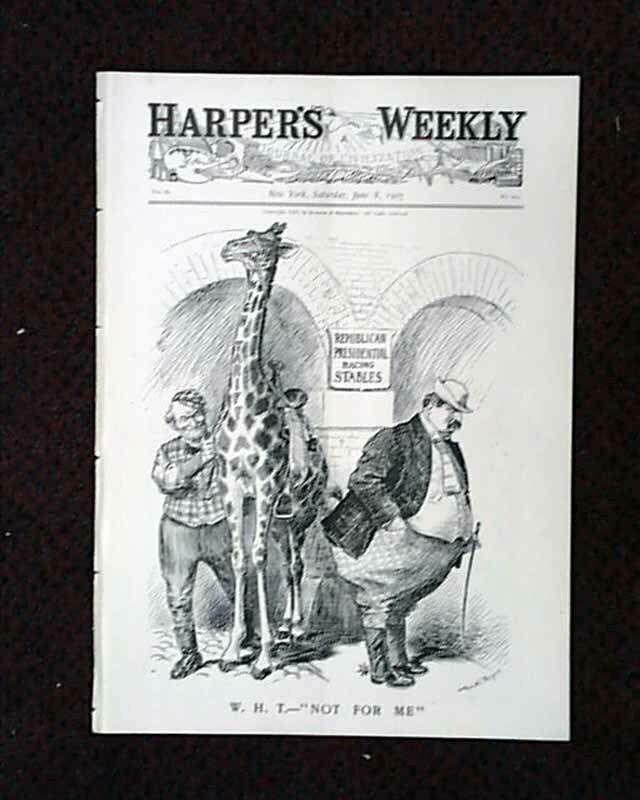 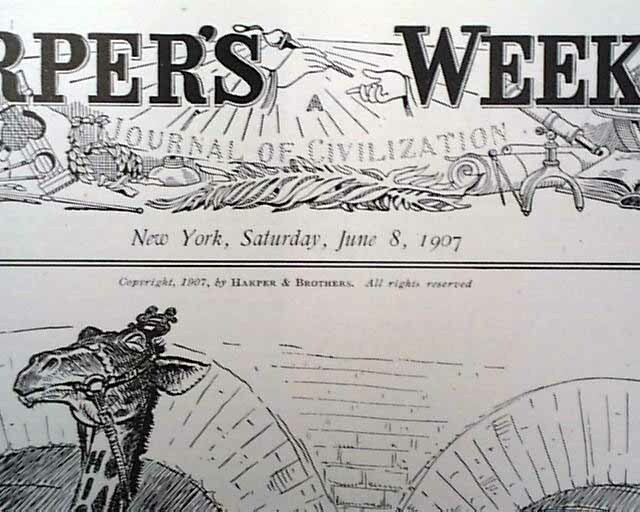 HARPER'S WEEKLY, New York, June 8, 1907 There is a front page illustration, "W. H. T.--'Not For Me' " by W. A. Rogers. 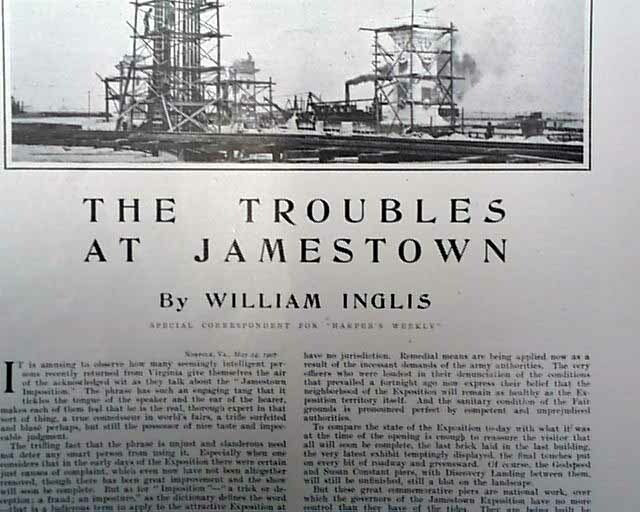 Included in this issue is an article on "The Troubles at Jamestown" by William Inglis. 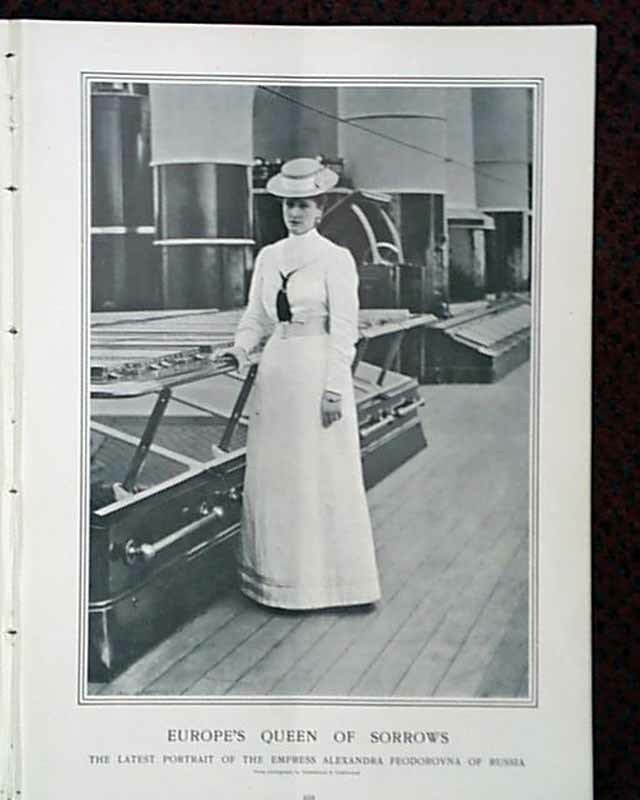 There are photos of "Europe's Queen of Sorrows"; a double-pg. 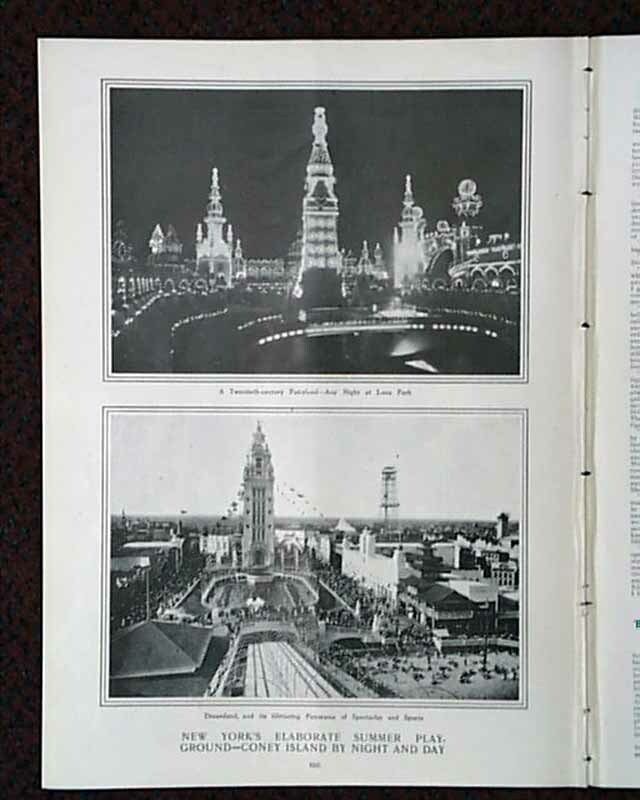 spread of "Mr. Cleveland in His Hours of Ease"; and "New York's Elaborate Summer Playground--Coney Island by Night and Day" and other advertisements of the day are included as well. 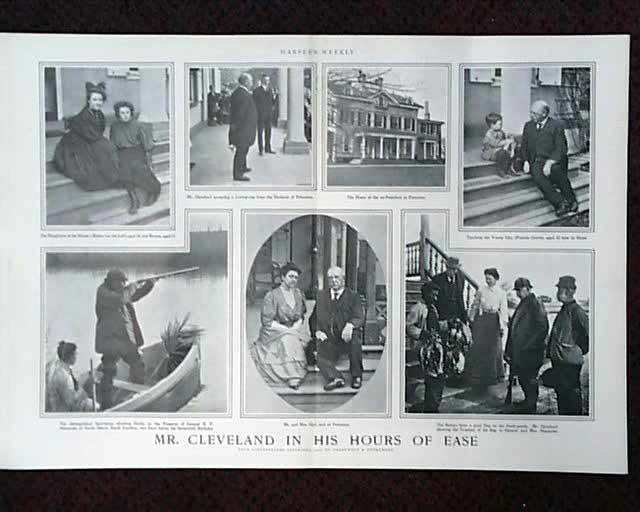 See photos for full details.